Sort the list and select the first K elements. Running time O(N*lg(N)). Insert the elements of the list into a heap and pop the top K elements. Running time O(N + K*lg(N)). 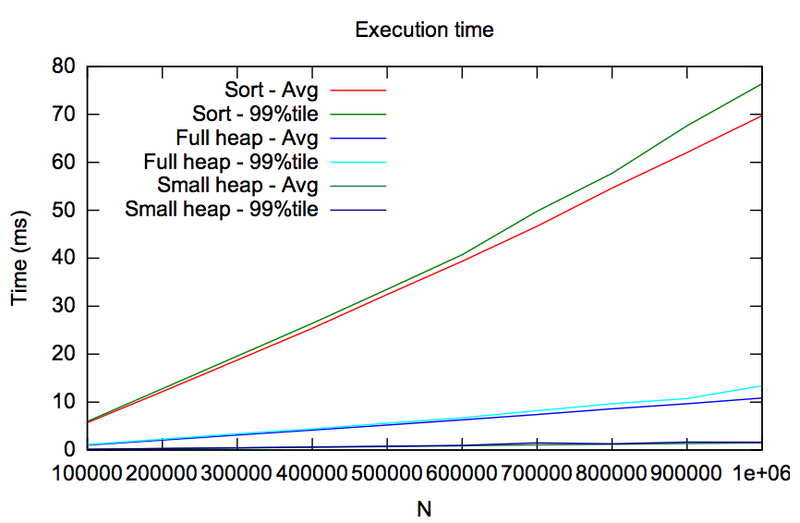 As a variant on option 2 a colleague proposed using a small heap that would have at most K elements at any given time. When the heap is full an element would be popped off before a new element could be added. 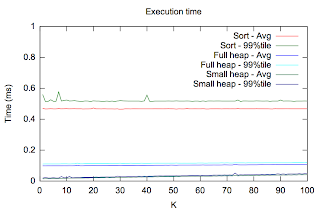 So if I wanted the top-K smallest values I would use a max-heap and if the next value from the input is smaller than the largest value on the heap I would pop off the largest value and insert the smaller value. The running time for this approach is O(N*lg(K)). For my use case both N and K are fairly small. The size of N will be approximately 10,000 elements and K will typically be 10, but can be set anywhere from 1 to 100. 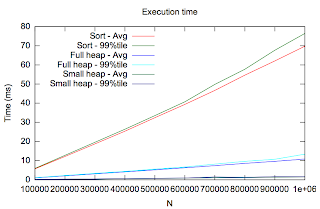 A C++ test program that implements all three approaches and tests them for various sizes of K is provided at the bottom of this post. The table below shows the results for K equal to 10, 50, and 100. 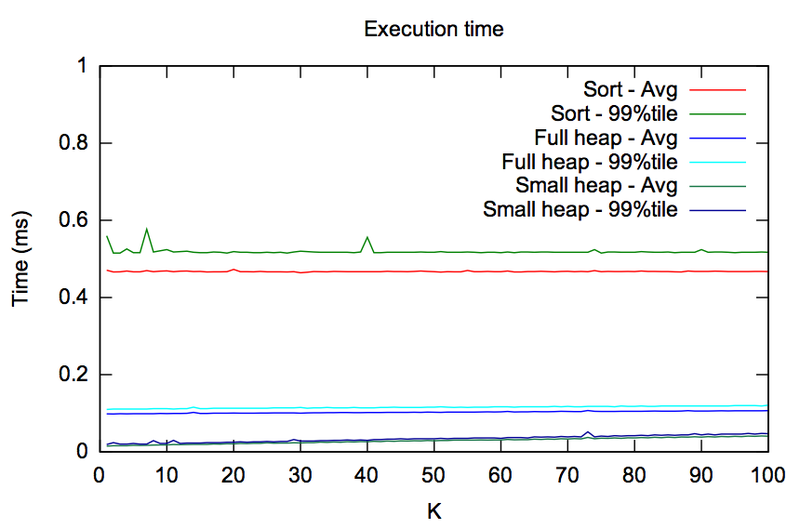 You can see that all three approaches have roughly the same running time and increasing the size of K has little impact on the actual running time. cout << name << " "
<< k << " "
<< avg << " "
<< pct90 << " "